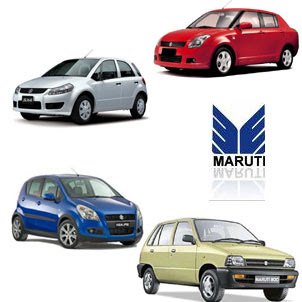 The Board of Directors of Maruti Suzuki India Limited approved the financial results for the first quarter of 2010-11 (April-June 2010). The Company registered Net Sales of Rs 80,507 million during the first quarter of 2010-11, a growth of 27 per cent compared to the same period of the previous year. Net Profit during the quarter was Rs 4,654 million, against Rs 5,835 million during the same period of the last fiscal year. The drop in Net Profit is due to higher commodity prices, increase in royalty and lower 'other income'. In addition, income from exports to Europe fell due to weakening of the Euro. During the quarter, the Company posted total sales of 283,324 units, representing 25 per cent growth. This included export of 40,437 units, a 38 per cent growth over the same period of the last fiscal. The Company's domestic sales volume grew by 23 per cent to 242,887 units The Company launched a new WagonR (a full model change) during the quarter. Maruti Suzuki's volume in the domestic A2 segment grew by 16.2 per cent during the quarter, while in the C segment, sales volume grew by 50.8 per cent, aided by the success of Eeco. The Company's sales volume in the A3 segment grew by 45.2 per cent, compared to sales in April-June 2009. During the quarter the Company further strengthened its network. The sales network grew to 828 outlets covering 577 cities (end Mar'10: 802 outlets, 555 cities). The service network increased to 2,771 service outlets covering 1,342 cities. (end Mar'10: 2,740 outlets, 1,335 cities). Thanks for the mention, we are happy to read about your positive experience!